The bulk of MiP’s members work in the NHS’s service providers and commissioning bodies: the organisations responsible for managing and delivering health services across the country. These include NHS trusts, clinical commissioning groups (CCGs) and commissioning support units (CSUs) in England; the 14 health boards in Scotland and seven in Wales; and the six health and social care trusts in Northern Ireland. In England, many trusts specialise in aspects of health services such as acute, community, ambulance and mental health; and the UK’s other nations also operate some specialist trusts, such as Wales’s Velindre NHS Trust and Scotland’s special health boards. Beyond our members in CCGs and CSUs, in addition we represent the staff of other English commissioning bodies such as the shared commissioning services operated with local authorities; the specialist commissioning functions in NHS England; and the public health commissioning bodies. Across these organisations, we represent a huge range of senior staff – from trust executives and commissioning leaders, through to specialist professionals such as HR, IT and communications staff, and senior clinicians such as lead nurses and therapy service managers. We support health managers through our network of national officers, each of whom is responsible for representing members within a particular region or nation. Our officers divide their time between collective representation – building relationships with employers, and engaging with them to help shape reform programmes and working practices – and providing members with individual representation on particular HR issues. Experts in employment law and systems of redress, regional structures and policy frameworks, our team are highly experienced in handling the HR challenges and problems encountered by managers inside NHS trusts and commissioning bodies. Finally, our national officers represent our members’ interests on the national bodies established to develop policies and working practices for service providers and commissioning bodies. 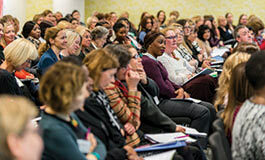 In the case of CSUs, for example, we have a seat on the National Partnership Forum – which brings together employers, NHS England representatives and health unions – and its Policy Subgroup. In recent years, we’ve often supported members through the reorganisations, closures and privatisations that have swept through the CSU system, and our seat on the NPF helps us to protect CSU employees’ terms & conditions and working arrangements at a system level. CCGs lack an equivalent national forum – but as they embark on a set of mergers and reforms linked to the delivery of sustainability and transformation plans, our national officers will work with individual CCGs to protect and defend our members’ interests. You can find more details of equivalent work outside England in the pages on Scotland, Wales and Northern Ireland. With NHS services under extreme pressure, managers and doctors need great working relationships. Umesh Prabhu shares his tips for working more effectively with your medical colleagues.